At Gold Acre Gardens we have experience in almost every aspect of gardening. Over 25 years combined knowledge means we have mastered our methodology and workmanship to produce the highest standards. 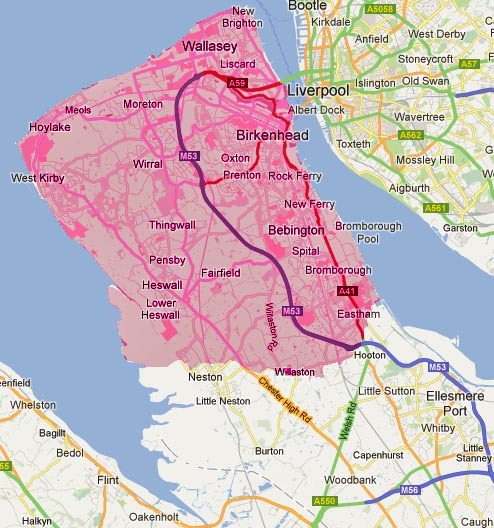 We work in the Wirral. Our image below shows a red shaded area. If you live inside this area then you qualify for service. It's worth noting that if you live just outside this area, it is likely we will be able to call as it acts as a rough outline. We offer a reliable and results driven service. We want your grounds to look their best for you and us both. We can complete all tasks mentioned on this site and more. Simply ask if a specific job is not listed and we will let you know if we can complete it right away. Rest assured that we will offer a service aimed at being convenient, efficient and productive to give you the best value for money you could hope for.